Giants rookie Landon Collins gathered the troops for special Halloween party at Hackensack University Medical Center. The New York Giants are very involved as an organization with the Hackensack University Medical Center, and back in September, the two sides announced a groundbreaking partnership to raise funds and find a cure for pediatric cancer. On Tuesday, several Giants rookies gathered at Hackensack UMC to celebrate Halloween in Giants style. 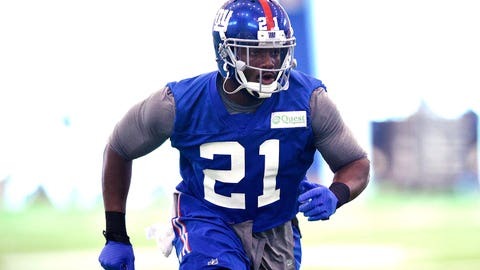 Rookie second-round safety Landon Collins tweeted out a picture of five of the rookies who participated.